Maimi had an emotional day both in and out of play practice, the details of which she shares along with some super-cute shots from her upcoming photobook in her April 25th update titled “Moved… (>_< 。)“. Full translation below. 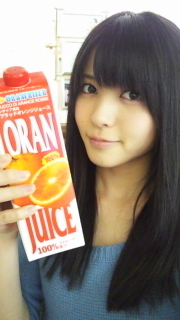 Posted on April 25, 2013, in Blog, Translations and tagged Yajima Maimi. Bookmark the permalink. Leave a comment.